For any questions regarding problems with this web site, please contact the webmaster. 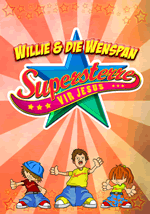 Copyright © 2019 Willie en die Wenspan. All rights reserved.